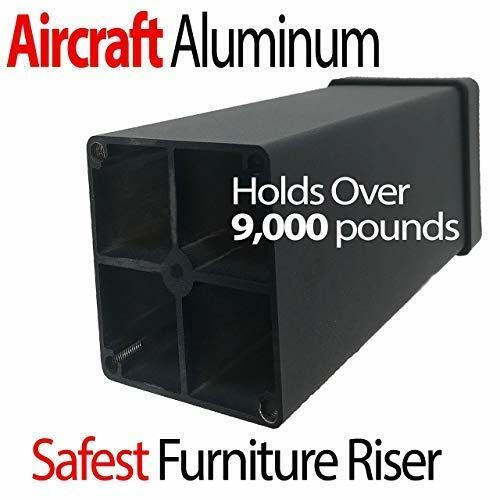 REGISTERED BRAND - HEAVY ALUMINUM DUTY TOWER: It Won't Crack Like Other Lifters - Our STRONGEST and SAFEST Lifter (#1 Complaint Eliminated by our Design). Aluminum Will NOT BEND or BREAK. 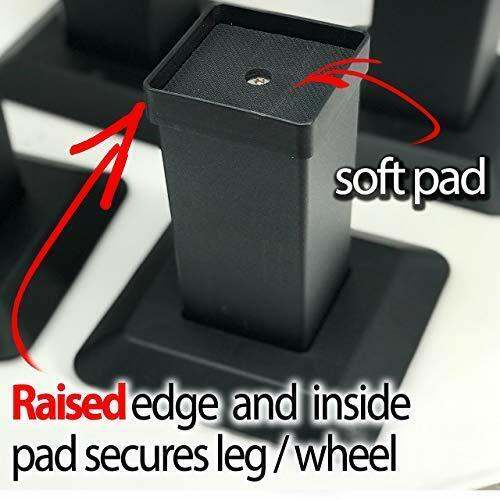 Great for Beds, Couches, Armchairs, Desks, Sofas, and more. Lifts 8.5 inches for Stationary Items. 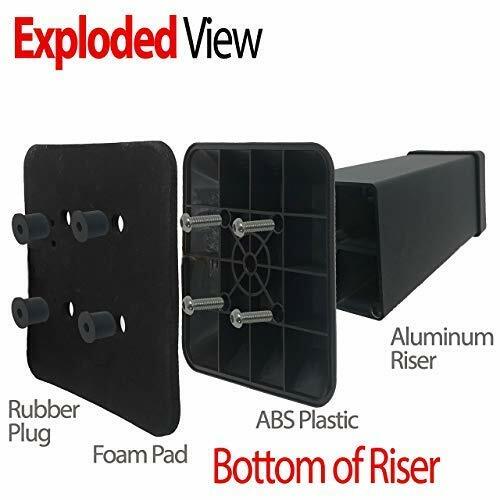 MOST STABLE SQUARE DESIGN & EZ Vacuum: Our ABS Plastic Base is a Square Design. Easier to Vacuum next to versus Round Designs. Lifts Extra Heavy Bed, Living Room Furniture, Desk Raiser, and Home Office Furniture. Stand Assist - Raise Height of Chair to Stand Up Easier. SAFELY INCREASE STORAGE UNDER BED: Increase Height and Lift Bed to Store Items - More Storage Space Instantly. Create More Storage Under Beds and Furniture. Great for robot vacuums. VERIFIED LAB TEST RESULTS: Our Strongest Design Supports over 9,00 pounds PER LEG, or Over 36,000 POUNDS for the ENTIRE Furniture Piece. Strongest and Safest Lift in the Market Today. Guaranteed Lifetime Warranty! By iPrimio a Michigan Based Company.